Steve Jobs once famously said, "Those who are crazy enough to think they can change the world usually do." 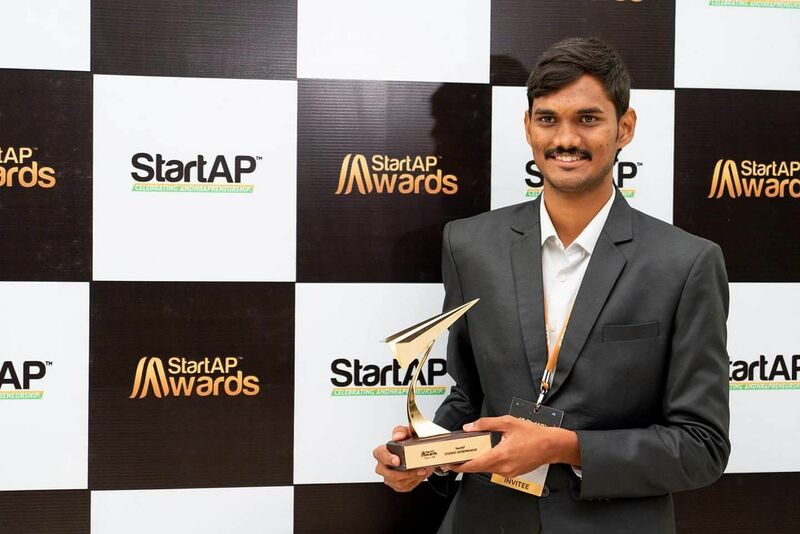 We had the chance to catch up with one such crazy lad, Gopi Raja who scribbled the words 'Fopple, CEO' much before he actually started Fopple Drone Tech, his start-up, and became the CEO. And though he has foretold most of all that is happening to him today, we bet he couldn't have predicted the most recent development. But first things first, introductions. 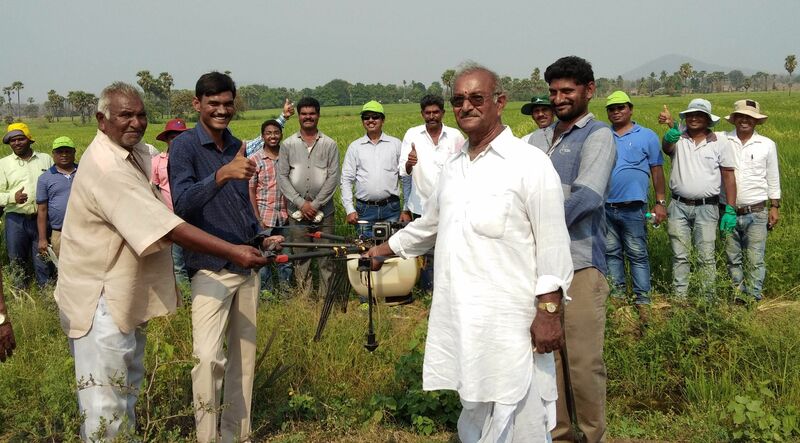 Raja devised drones which spray pesticides on the fields instead of farmers having to do it manually, which is both time-consuming and put's their health at risk. He has turned this into a franchise model wherein, "We offer unemployed, but interested youth all our technical support while they use their branding skills to provide these done services to farmers," says 24-year-old Raja, who comes from a family of farmers. They have sold 30,000 drones since last March and we hear that an app is in the making too. As if this was not enough (but looks like the world is not enough for Raja anyway), as a part of the 15-day programme conducted by Andhra Pradesh State Skill Development Corporation in partnership with Northeastern University, Raja was invited to the USA in an all-expenses-paid trip. 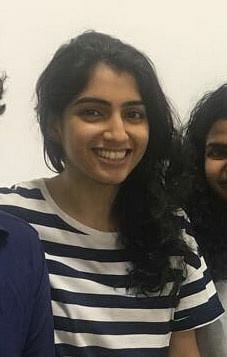 "Apart from Northeastern University, I visited Harvard and MIT and interacted with professors on topics like financial marketing, business plans and more," says an excited Raja, who was born in Kankipadu, near Vijayawada. A book that Raja read proposed a search for the fourth apple, the first three being the one Adam and Eve ate, the one which fell on Newton’s head and Apple, the company. He wanted to be the fourth apple, hence the name Fopple Drone Tech. From having 18 backlogs while in KL University to travelling to the USA, Raja has lately had no time to spare. No, these are not our words. This is what Raja’s friends keep telling him in jest. And these supportive friends and other well-wishers are who Raja is grateful for. Tarun Kakani and JD Laxminarayana, former Joint Director-CBI who assisted him financially and faculty from KL University like Vice-President Raja Harin and Director of Innovation, Incubation and Entrepreneurship Cell, Dr K Rajasekhar — his thanksgiving list is certainly long. Today, he is doing his bit by training students on topics like public speaking, dos and don’ts of interviews. He has trained 3,000 students and is a motivational speaker too. “Many students innovate, but not all of them are being encouraged. That’s the missing element. If students were encouraged at every level, by today, we would have had more than 100 Abdul Kalams in our country,” says Raja. So, what's next, we ask. Raja wants Fopple Drone Tech to be the next million dollar start-up by 2025 and by 2028, he wants Drone Rajas (which is what the drones are called), to be used in every nook and corner of India. Quite a mammoth task, we say. "I will make it happen," says Raja, making yet another prophecy which he is determined to make true.